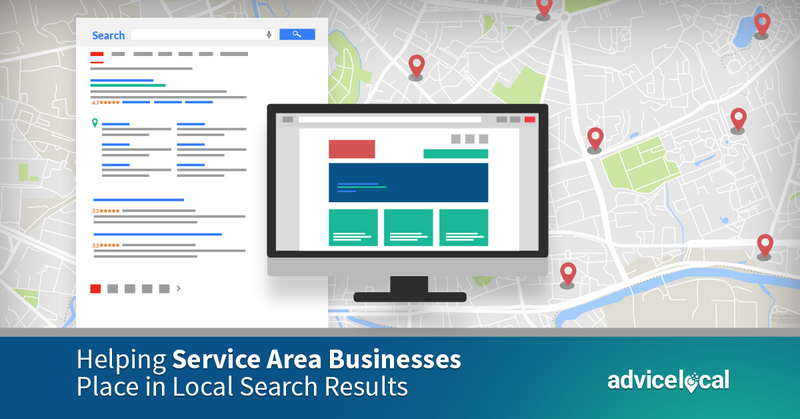 Last month, we talked about how to best optimize Google My Business listings for service area businesses (SABs). SABs have always experienced challenges in the digital space due to their lack of a physical storefront; creating fully optimized business listings has been difficult, as many of these businesses operate out of homes or locations that are not customer-facing like a warehouse. Fortunately, the battle to achieve a top-notch local presence has shifted in SABs’ favor this year! Before Google released their new SAB guidelines for Google My Business, nailing down a specific service area was much more complicated for service area businesses. Now that the SAB owner has location options tailored to them when they create their GMB listing, things have become a whole lot simpler – and safer! They simply have to decline listing a separate business address; before, it was required to include some sort of address in order for the listing to go live. A SAB owner could hide the address from view, but it still made many uneasy. Now, all they have to do is specify the service areas and zip codes covered by their business! 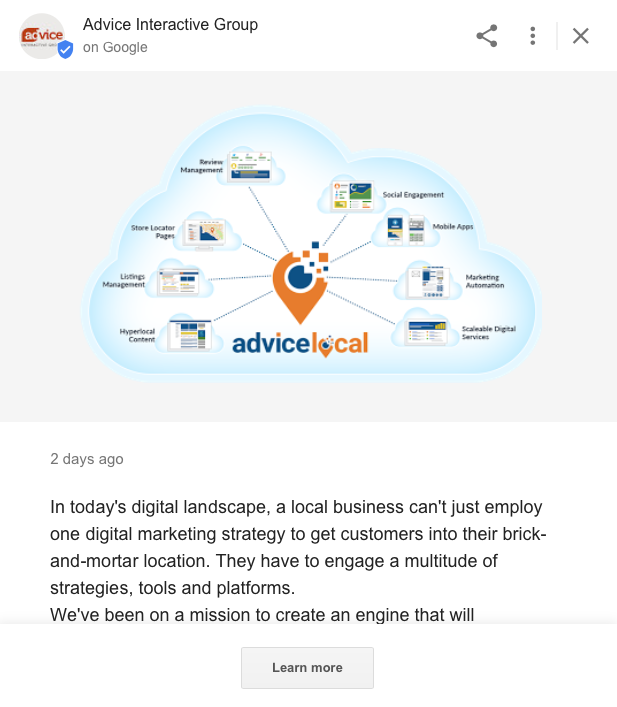 The ability to include this level of detail in their Google My Business listing is unprecedented for service area businesses, but it’s just the beginning when it comes to them being seen by the right people. Now that we’ve covered how to get their GMB listing in good shape, it’s time to help SABs place highly in local search results. Here are a few surefire ways to help service area businesses today! Surprise, surprise: content is important here, too! When it comes to placement on the web, there has never been more of an emphasis on content than now. This ranges from website content to content within a GMB listing. Have you heard of Google Posts? With their creation, a Google My Business listing manager has the ability to write a short piece of content, promote an event or showcase a special for a limited time. This is the perfect type of content to hook audience members, and a site can increase click-through by posting more. Google Posts offer a quick read, are eye-catching, and serve as their own ad. Boom! Instant visibility and brand awareness. Think of Google Posts as a first impression – no one gets a second chance with those, especially in the age of Super-Empowered Consumers who are uninterested in wasting their time. Whether a brand creates Google Posts, blog posts, web content or other forms of content, search engines scan content for professionalism and authority. With each piece, a brand should strive to establish what Google calls E-A-T: expertise, authoritativeness and trustworthiness. We’ve talked about this concept before because its importance extends all throughout SEO. It is especially important for service area businesses to be as city-specific and localized as possible. Meta descriptions, titles and headlines should reference a SAB’s location or service area if it makes sense with the flow of the piece. Lastly, we must discuss keywords. Before a SAB owner begins writing, significant research should be done on the right keywords to use throughout the content. Keywords are vital to practically every aspect of search engine optimization, and the proper use of keywords is one of the main ways that smaller businesses can compete in a search. Tools like SEMRush help point a writer in the right direction for the proper keyword-based titles, headings and other ranking-specific components. The more keywords, the better. 2. The Featured Snippet Is SAB Goals! The featured snippet is a great thing, but it can be a not-so-great thing when it comes to smaller businesses, like SABs. We discussed it at length when talked about zero-click searches. The featured snippet is the answer at the top of a Google search page. Content from the highest ranking webpage is found systematically by Google, which determines the featured snippet. It’s displayed in a defined box containing the “snippet” of content retrieved from the search, with the title of the piece and a URL. The keywords are bolded because Google scanned for them! 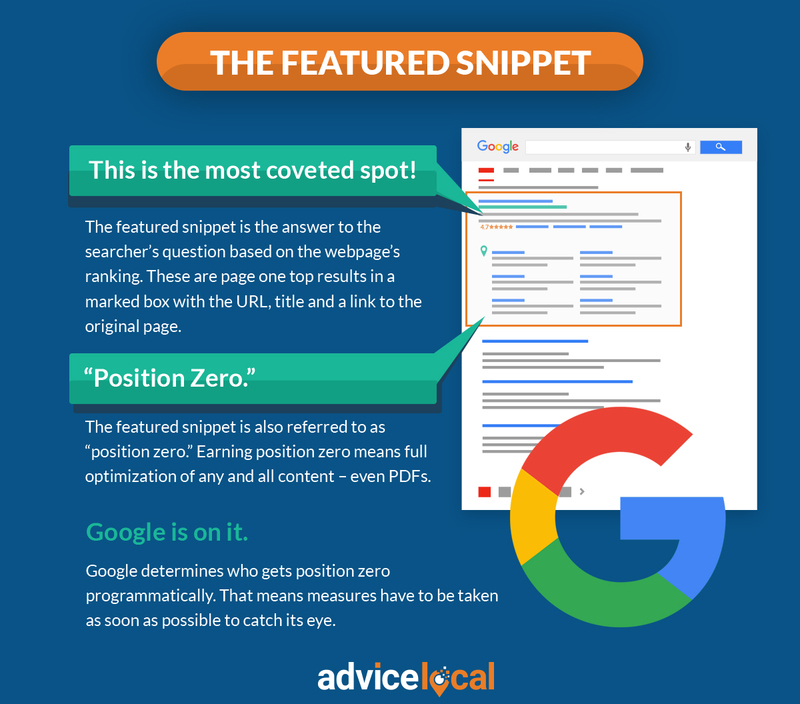 The featured snippet is considered an achievement, as the “winner” is shown on the first page and will more than likely receive the first click, earning the click-through that every website desires. Making the featured snippet should a goal for everyone, including service area businesses that need the exposure. Optimization for the featured snippet should be kept in mind when writing any kind of content. To optimize for the featured snippet, keywords should be used frequently throughout the content, and the tone of the content should be conversational. Web-based writing always needs to get to the point in as few words as possible; short and sweet gets the snippet! A SAB should not be afraid to use varied media forms either (e.g. slide decks, video, etc). It’s all about standing out and gaining traffic. The importance of city pages for service area businesses needs to be brought to the forefront. These businesses are all about location, location, location – it’s in their title! All content that a brand produces should be tactical, but when it comes to businesses that serve a broad area, city pages are necessary for ranking purposes in search. As with blogs and articles, there are specific strategies that will get city pages picked up by search engines. These are pretty standard SEO writing procedures; the content must be engaging and location-focused, and it should include an attention-grabbing title with keywords, headings with keywords, a meta description with a compelling call to action, and links to both internal and external sources. The content cannot be the same from city to city with only minor changes – duplicate content will not help the city pages place in search results. It’s about getting a SAB seen in a particular region, and city pages are crucial to that process. When implemented, these pointers will help service area businesses place higher in local search results. We know this because we do it everyday! Here’s a local presence management case study to prove it. But, putting a plan into action can seem challenging. 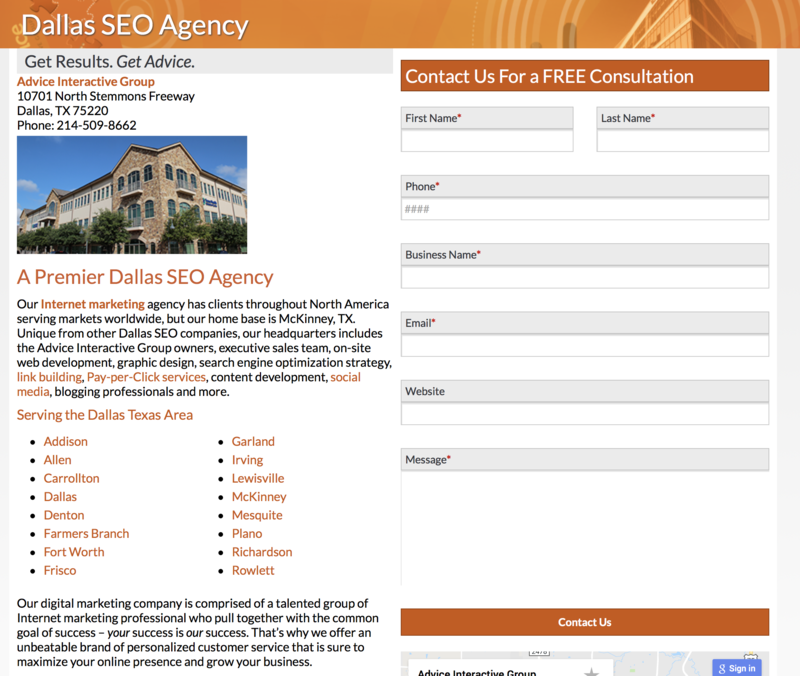 At Advice Local, we help SABs place higher in search results. Request a demo today to learn more about how we can help the service area businesses you represent.